Consultant vascular surgeon Mr Jonothan Earnshaw kicked off the day by comparing foam sclerotherapy with alternative treatments for varicose veins, perforating veins and leg ulcers. 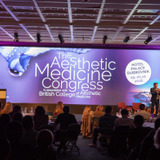 Later in the morning, aesthetic practitioner Dr Martyn King shared his ideas on additional therapies that aesthetic practices might offer sclerotherapy patients. 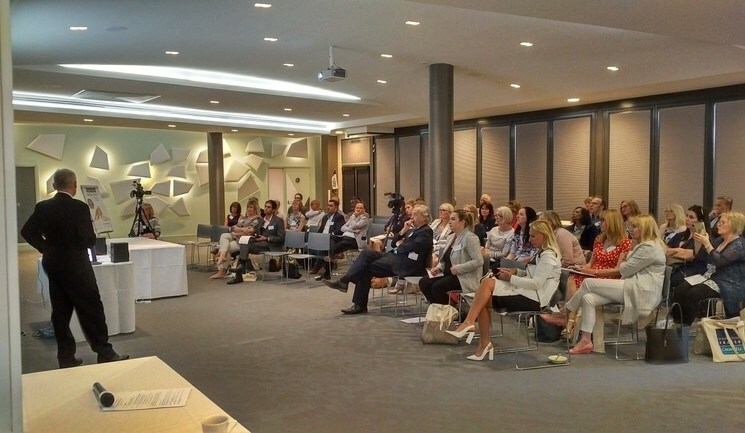 He suggested that practitioners ‘think outside the box’ to identify other needs alongside the presenting problem – for example lipolysis, mesotherapy, skincare products and laser hair removal. As part of the afternoon sessions, chairman of the BAS, Dr Stephen Tristram, associate vascular physician at The Hampshire Clinic, then presented on how to avoid complications of sclerotherapy for telangiectasia and detailed risks and discussed compression, pain and treatment failure. Dr Tristram shared his advice for managing patient expectations, saying that practitioners should avoid the use of the words ‘disappear’, ‘gone’, ‘cure’ ‘never’ or ‘always’. Instead, he suggested to use ‘improve’, ‘much better’, ‘more comfortable’, ‘usually’ and ‘we can look after your legs’. During the day, delegates also enjoyed a trade exhibition and poster presentations. Companies showcasing their products included Q Medical Technologies, Hamilton Fraser Cosmetic Insurance, STD Pharmaceutical Products, Credenhill, Sigvaris, and Ultrasound Technologies. BAS president and consultant vascular surgeon Mr Philip Coleridge Smith said he was thrilled that the event was a huge success. 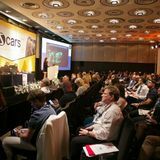 “With its focus on practical rather than purely academic presentations and on sharing tried and tested techniques, this meeting has achieved its aim of giving all sclerotherapy practitioners useful information they can take away and implement in their practices, whatever their role or level of experience. We’re gratified to see that the event has attracted a number of new faces in addition to the many who support us year after year,” he said.